Do you know if minimising your electricity CO2 emissions is the same as reducing your bills? 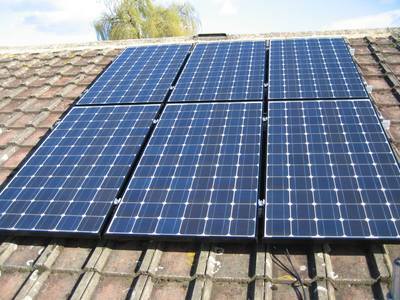 So you have some sort of (grid-tied) microgeneration such as solar PV or wind at home? (Or for your small business, maybe.) Partly to save the planet, to be part of the solution? You are already being efficient and cutting out waste. You may not have a lot of scope for further reducing demand significantly. Maybe you are also being careful to minimise use at times of peak grid demand out of the goodness of your heart. Or because you have time-of-day metering where the cost goes up to reflect extra system costs (and CO2 intensity). Is minimising your overall CO2 emissions (for the electricity you use) always the same as minimising the bill that you pay your supplier each month? And how does that depend on the payment regime you have for import and export? Eg net-metering, feed-in tariff, ROCs/RECs (tradeable green power certificates), time-of-day (or half-hourly) metering, etc, etc. Would it be useful to have a system that netted or shifted your power use and could provide backup in the event of a power cut? And would such a system save CO2 or money or significant disruption if so? The aim is not autarky, simply a little less absolute dependency, and the ability to maximise the CO2-free microgenerated power. If your microgeneration produces more than you use (in a day, say), and especially if you don't have a net metering arrangement, and you get paid less for exported power than imported power, then you may wish to net off your consumption to arrange that you never import. Even for spikes of demand higher than your microgeneration output at any moment. This might happen, for example, when your dishwasher turns on its heater but a cloud is just passing over your solar PV panels! And even if you do have net metering and produce more than you use, you might want to shift the time that you export that excess to the grid to be paid more and/or to displace maximum CO2 for your exported kWh. Given that most domestic-scale microgeneration is non-dispatchable, ie you cannot control when it generates power, netting and load-shifting implies the use of batteries (or other storage). And to complicate matters getting energy in and out of batteries loses ~20%. Typical example: at noon today there is enough sunshine to pretty-well cover running my dishwasher (ie little or no energy is imported from the grid), but if I wait until late at night I may well save 25% in carbon emissions per generated/consumed kWh (regardless of my own solar which could otherwise have displaced someone else's consumption at noon if I'm grid-tied). With a lower price for exported energy my financial incentive is to run at noon which doesn't minimise carbon emissions. With net-metering or feed-in with a constant price it's financially neutral, which may encourage me to do the right thing and run at night. With time-of-day rates (and positive correlation of demand with intensity) then providing exported energy is paid for at least at imported rates I think that again money and CO2-reduction align. 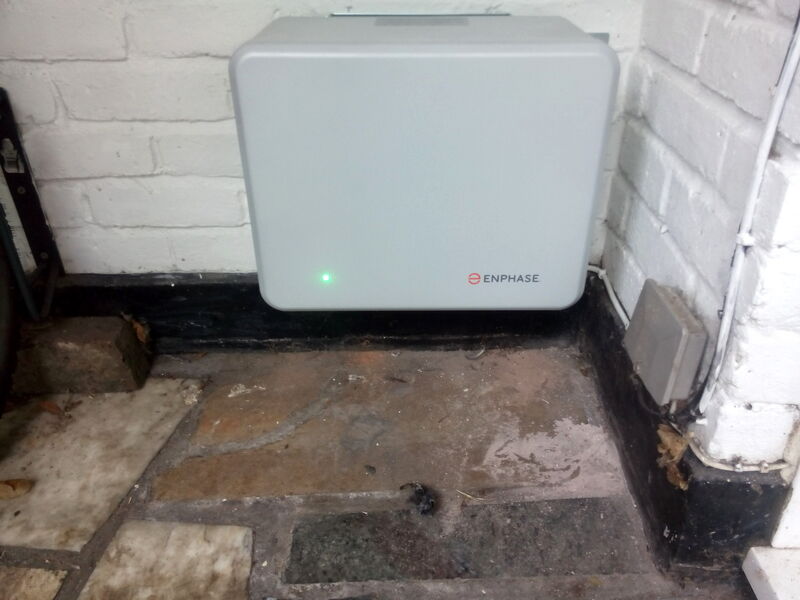 The core of the system could be something "grid-interactive" like SMA's Sunny Backup-System which can effectively act as UPS (Uninterruptable Power Supply) for an entire house if the mains electricity fails. On-site microgeneration is producing excess being exported to the grid: some or all of that can usefully be diverted to the batteries. The battery level is very low, which might prevent them covering another power outage and/or might be low enough to actually damage the batteries. Electricity rates (and/or CO2 intensity) are especially low, eg at night. The first of these requires the unit to monitor whether power is being imported from or exported to the grid (and how much). Once the unit is capable of monitoring the direction of flow of power then it can potentially ramp up its output to cover local demand spikes which exceed current on-site generation so as to avoid importing from the grid. If the demand is too high for the unit to cover or the batteries are too low then power will be imported from the grid as usual. We might want to prevent any import of power during high-cost/high-intensity times (eg winter evenings in the UK) unless the batteries are especially low. This could be driven by a simple timer/calendar. If billing is time-of-day related then blocking imports could be driven by high prices instead (eg higher than average for the last day or week). The system's high capital cost is likely to prevent such a system being financially worthwhile for a householder unless, for example, there are frequent disruptive power cuts that make the UPS aspect enough. If exported power to the grid is paid for on a time-of-day (time-of-use) basis, then at times of expecially high prices a householder may earn some useful cash by exporting from their battery store to the grid whether their microgeneration is producing or not. This would help stabilise the grid too, and is similar to the various V2G (Vehicle-to-Grid) schemes proposed. As of 2010 we generate about twice as much electricity as we consume, year round, so in summer in particular we are producing vastly more than we use each day (about 5kWh/d). By default summer overnight consumption is about 0.7kWh/d mainly from the fridge/freezer, with a little from Internet connectivity (though the main Internet-facing server runs off-grid almost all year) and a few small always-on devices such as phone and bedside clock. But if we want to minimise our electricity bill we could (and occasionally do) have loads run when the sun is out and shining brightly to avoid importing power for them. A more rational, time-of-use tariff to minimise carbon emissions would eliminate this significant discrepancy. In winter, shifting loads to daytime would save less money than in summer since less of each load would tend to be covered by PV-generated power from moment to moment, though curiously the diurnal grid intensity differential tends to be lower too, due to a higher proportion of discretionary fossil generation to meet demand, so the carbon penalty from shifting loads to daytime would be less. If we built a utility-scale battery we would be able to carry energy from summer to winter and never import from the grid. But such a battery would be similar in size and cost to the house itself! More realistically, if we built a system with a capacity up to about our daily consumption (~6kWh/d in winter) then we could optimise the "load profile" that we present to the grid. For example, other than in winter we could probably avoid importing at all. Note that load-shifting to reduce the carbon intensity of our imports can only be effective if the round-trip loss through the battery and equipment is significantly less than the diurnal intensity variation in the grid. For common lead-acid batteries with a round-trip efficiency of ~75% (allowing a little for equipment losses) and a grid daily intensity ratio varying between about 8% and 33% it would barely be worth doing. With 95%+ round-trip efficiencies for Lithium systems, we may be in business. In both cases the system would probably be set to import as little as possible. None when daily generation from our PV exceeded consumption and if the battery capacity is high enough. In the case of saving money, on a flat retail tariff as we currently have, any electricity needing to be imported can be drawn from the grid at any time. So we might as well do so at night which is better for all sorts of reasons. Because the cost of imported electricity is much higher per kWh than exported, there is no incentive to export extra during the day. But if a time-of-day tariff applied to both then we could join the huge pumped-storage systems in their arbitrage. We'd be filling up with cheap night-time electricity and exporting during daily demand/price/intensity peaks. If saving carbon emissions then we would import when intensity is low, typically at night and especially at weekends. But in future possibly also when the wind picks up and the sun is out, and we might also actively export from batteries to the grid during high-carbon-intensity times, often during the day (but in future maybe in wind lulls for example). We may yet also in either case be paid for frequency response ie helping to keep the grid stable, if we can be aggregated with, for example, electric vehicle owners. The going rate in 2010 was very roughly £100k/year/MW of fast response, so would perhaps be ~£100/y for 1kW of ability to export to the grid (or reduce demand from the grid from our house) at a cycle's notice. This would be on top of normal import/export charges/payments. If we moved to heat-pump, ie efficient electric, heating (away from gas), then all the daily flows become larger especially in winter (to ~25kWh/d). And if the heating system were to include a low-loss thermal store capable of dealing with space-heating demand as well as hot water, then we might be best charging (ie heating) that tank when we charge our batteries, ie based on our selected saving priority of money or carbon. Again, I believe that daily time-of-use domestic tariffs should be available (or even compulsory for the larger users) to closely align the money and carbon incentives. In effect also to create incentives and mechanisms for demand control. This is where batteries and thermal stores can help provide fast response as well as more general and longer-term load shifting. Individuals will be incentivised to change habits and load times too. The above depends on real-time access to grid intensity/status and/or time-of-day rates (for a the 'save money' setting) as well as real-time measurement of consumption and reasonable predictions/models for these values. Most of this is possible more-or-less off-the-shelf right now. 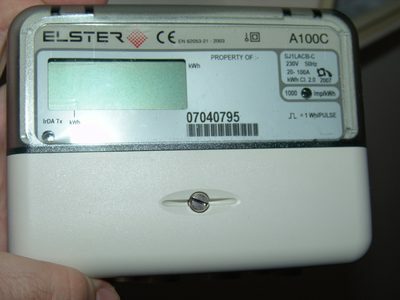 RenewableEnergyWorld's item on Why do some utilities seem to dislike net metering? The [archive, 2008] 40% House vision to deliver 60% carbon saving in the UK's residential energy use by 2050 (2005 report). See also the newer Home Truths report (Nov 2007) from the same group on how to deliver 80% cut in carbon emissions from UK homes by 2050, particularly with reference to their suggestion that homes will be net exporters of electricity and that there will be no base-load. The vehicle-to-grid (V2G) distributed grid-support idea research at University of Delaware. SMA's storage solutions can provide the benefits of on-grid (for safe export of excess) and off-grid (the lights, fridge, etc stay on if the grid goes down) PV systems. First published 2008-04-05 , updated 2019-04-17 , rebuilt 2019-04-19 . Site copyright © 2007-2019 Damon Hart-Davis. Hosted by ExNet.